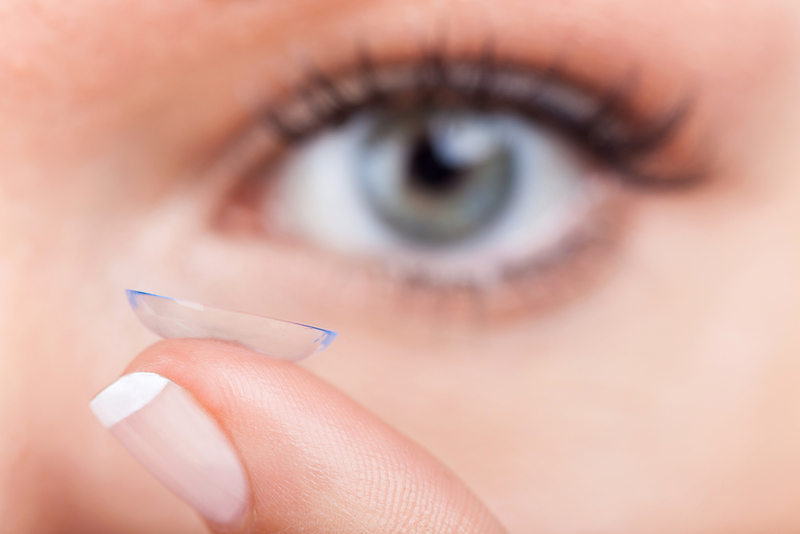 Millions of contact lens users deal with eye complications every year because they wear their contacts in the pool, don’t take them out when they sleep or just don’t take them out ever. It is easy to assume that you’ll be fine, but this really isn’t the case. This can pose a serious issue for your eyes health, the reason is tap water is not salty like your eyes natural tears, so your contact lenses end up absorbing more of it and swelling. You might be thinking “Well, what does that matter?” It matters because tap water—while safe enough to drink—isn’t sterile and therefore can contain a lot of microorganisms. This creates a double whammy effect because as your lens swells it pulls on your cornea and can cause microscopic openings that allow those microorganisms to get into your eye and cause possible infection. This is why you should absolutely NOT shower or swim with your contact lenses in. Well, if you thought exposing your contact lenses to tap water was bad, you are in for a real treat with this one. The saliva in your mouth is absolutely ridden with bacteria that can be quite damaging in any place outside of your mouth. You might be better off rubbing your contact lenses into a petri dish at a science lab—which is an absolutely terrible idea. If your contact lenses are bothering and there isn’t contact lens solution readily available, then you should just take them out of your eyes. If you want to prepare for these emergencies, then you should have a small travel bottle of contact lens solution on your person at all times. Trying to cut corners on costs, so you re-use contact lens solution. The purpose of contact lens solution is to clean bacteria and debris off of your contact lenses. These bacteria and debris don’t go away, so if you choose to re-use that dirty contact lens solution you are essentially marinating your contact lenses in filth. Here is an analogy for you, as your car runs the oil gets dirtier and dirtier and dirtier until you need to do an oil change. Re-using contact lens solution is like taking that old dirty oil you just took out of your car and deciding to put it back into the car with some new oil mixed in.